Cancer is the second leading cause of death worldwide. Although great advancements have been made in the treatment and control of cancer progression, significant deficiencies and room for improvement remain. A number of undesired side effects sometimes occur during chemotherapy. Natural therapies, such as the use of plant-derived products in cancer treatment, may reduce adverse side effects. Currently, a few plant products are being used to treat cancer. However, a myriad of many plant products exist that have shown very promising anti-cancer properties in vitro, but have yet to be evaluated in humans. Further study is required to determine the efficacy of these plant products in treating cancers in humans. This review will focus on the various plant-derived chemical compounds that have, in recent years, shown promise as anticancer agents and will outline their potential mechanism of action. Cancer remains one of the leading causes of morbidity and mortality globally. Amongst the non-communicable diseases, cancer is the second leading cause of death, after cardiovascular disease . Cancer is responsible for one in eight deaths worldwide—more than AIDS, tuberculosis, and malaria together . Overall cancer incidence and mortality are higher in North America, Australia, New Zealand and Western Europe compared to the rest of the world . In the United States, one in four deaths is attributed to cancer . Globally, the number of cancer deaths is projected to increase from 7.1 million in 2002 to 11.5 million in 2030 . Chemotherapy is routinely used for cancer treatment. Since cancer cells lose many of the regulatory functions present in normal cells, they continue to divide when normal cells do not. This feature makes cancer cells susceptible to chemotherapeutic drugs. Approximately five decades of systemic drug discovery and development have resulted in the establishment of a large collection of useful chemotherapeutic agents. However, chemotherapeutic treatments are not devoid of their own intrinsic problems. Various kinds of toxicities may occur as a result of chemotherapeutic treatments. For example, 5-fluorouracil, a common chemotherapeutic agent, is known to cause myelotoxicity , cardiotoxicity and has even been shown to act as a vasospastic agent in rare but documented cases . Another widely used chemodrug, doxorubicin causes cardiac toxicity , renal toxicity , and myelotoxicity . Similarly, bleomycin a well known chemotherapeutic agent, is known for its pulmonary toxicity . In addition, bleomycin shows cutaneous toxicity . Cyclophosphamide, a drug to treat many malignant conditions, has been shown to have bladder toxicity in the form of hemorrhagic cystitis, immunosuppression, alopecia and at high doses cardiotoxicity . The toxicity of chemotherapeutic drugs sometimes creates a significant problem in the treatment of cancer using allopathy or established medicine. Various therapies have been propounded for the treatment of cancer, many of which use plant-derived products. There are four classes of plant-derived anticancer agents in the market today, the vinca alkaloids (vinblastine, vincristine and vindesine), the epipodophyllotoxins (etoposide and teniposide), the taxanes (paclitaxel and docetaxel) and the camptothecin derivatives (camptotecin and irinotecan). Plants still have enormous potential to provide newer drugs and as such are a reservoir of natural chemicals that may provide chemoprotective potential against cancer. Recently, Taneja and Qazi, have suggested a number of compounds from medicinal plants with potential anti-cancer activities . This review will discuss some of the plant products that have recently been tested and may have potential in anticancer therapies. The possible mechanism of action of such plant products is also discussed. 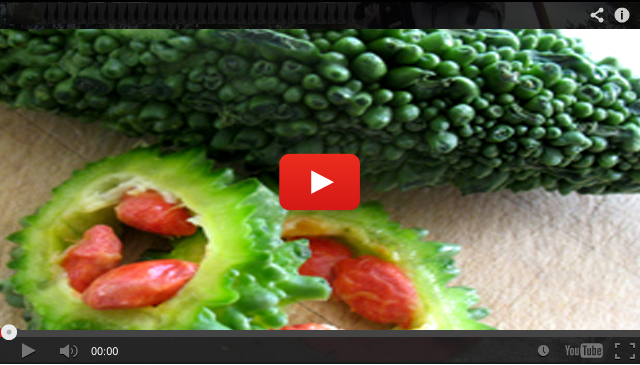 The anticancer properties of plants have been recognized for centuries. Isolation of podophyllotoxin and several other compounds (known as lignans) from the common mayapple (Podophyllum peltatum) ultimately led to the development of drugs used to treat testicular and small cell lung cancer . The National Cancer Institute (NCI) has screened approximately 35,000 plant species for potential anticancer activities. Among them, about 3,000 plant species have demonstrated reproducible anticancer activity . Many studies have focused on the chemoprotective properties of plants such as anticarcinogenic properties of Abrus precatorius on Yoshida sarcoma in rats, fibrosarcoma in mice and ascites tumor cells . 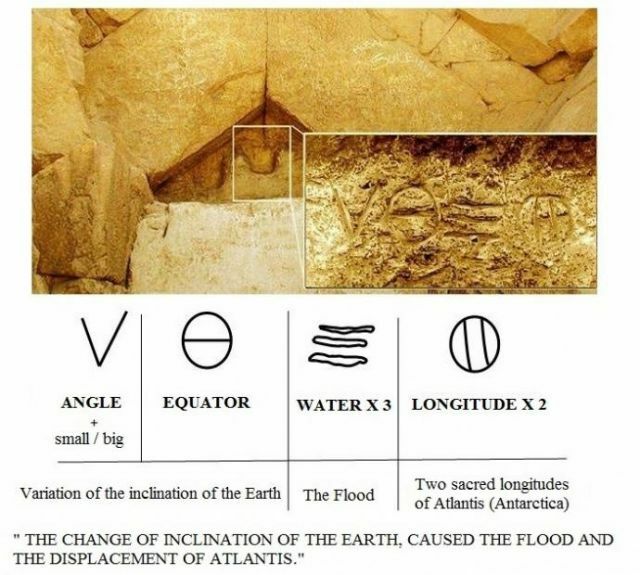 Similarly, Dhar et al. 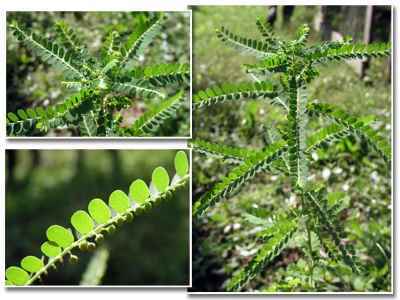 have examined the anticancer properties of Albizzia lebbeck on sarcoma in mice and Alstonia scholaries on benzo[a]pyrene-induced forestomach carcinoma in humans . Other plants that have shown anticarcinogenic properties include Anacardium occidentale in hepatoma, Asparagus racemosa in human epidermoid carcinoma, Boswellia serrata in human epidermal carcinoma of the nasopharynx, Erthyrina suberosa in sarcoma, Euphorbia hirta in Freund virus leukemia, Gynandropis pentaphylla in hepatoma, Nigella sativa in Lewis lung carcinoma, Peaderia foetida in human epidermoid carcinoma of the nasopharynx, Picrorrhiza kurroa in hepatic cancers, and Withania somnifera in various tumors . The anticancer characteristics of a number of plants are still being actively researched and some have shown promising results. 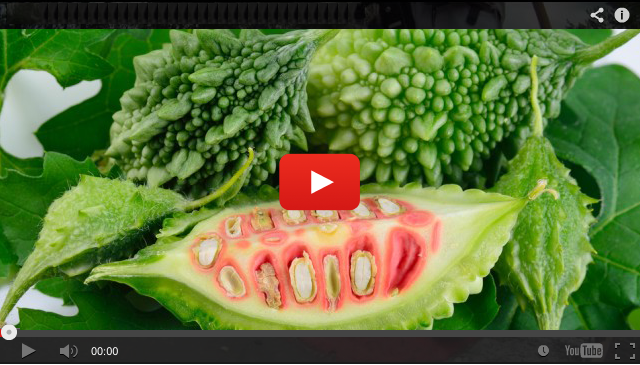 Some plants and plant products that have shown promise as anticancer agents are discussed in detail in the following sections. 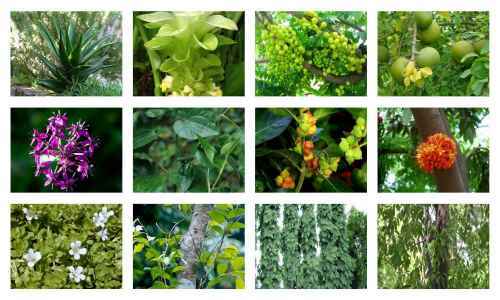 Tinospora cordifolia, also known as guduchi in Sanskrit, giloya in Hindi and heartleaf moonseed plant in English, is a bulky, smooth, climbing deciduous shrub lacking bristles . The most commonly used part of the shrub is the stem, but roots are also known to contain important alkaloids. This shrub is commonly found in India, Myanmar, Sri Lanka and China. According to ancient Ayurvedic lexicons, T. cordifolia is also referred to as “amrita”. The term “amrita” is ascribed to this plant due to its ability to impart youthfulness, vitality and longevity. 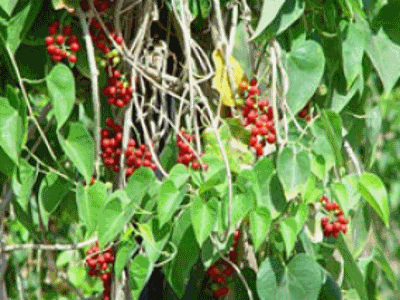 The stem of T. cordifolia is used for general debility, dyspepsia, fever, urinary disease, and jaundice . 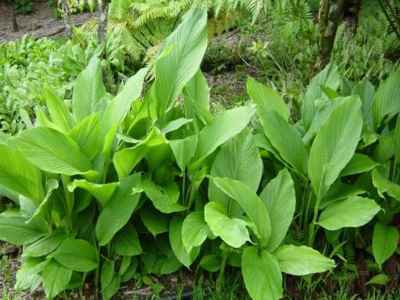 The extract of its stem is used in treating skin diseases . There are certain curative properties of the root of T. cordifoliawhich allow for its use as antidote in snake bite, in combination with other drugs . T. cordifolia is well known in modern medicine for its adaptogenic, immunomodulatory and anti-oxidant activities . T. cordifolia is also known to have anti-inflammatory, anti-arthritic, anti-allergic properties . 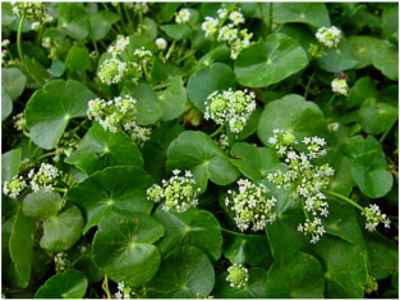 This plant is also useful in treating skin diseases, vomiting, anemia, piles, chronic fever, and emaciation . The methanol extract of Tinospora contains phenylpropanoids, norditerpene furan glycosides, diterpene furan glycosides and phytoecdysones . The roots of T. cordifolia are also reported to contain other alkaloids like choline, tinosporin, columbin, isocolumbin, palmatine, tetrahydropalmatine and magnoflorine . T. cordifolia effectively kills HeLa cells in vitro, suggesting its potential as an anticancer agent. A dose-dependent increase in cell death was observed in HeLa cells treated with T. cordifolia extract as compared to the controls . The anticancer activity of dichloromethane extract of T. cordifolia in the mice transplanted with Ehrlich ascites carcinoma has been demonstrated. T. cordifolia extract showed a dose-dependent increase in tumor-free survival with highest number of survivors observed at 50 mg/kg dose . Chemical structures of some of the active constituents of T. cordifolia are given below. 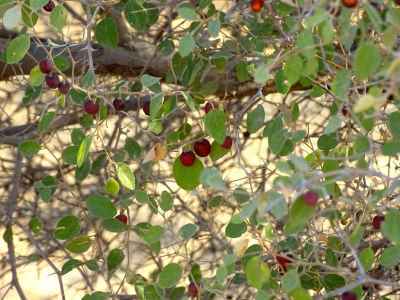 Ziziphus nummularia, also known as bhukamtaka sukhsharanphala in Sanskrit, harbor in Hindi and wild jujube in English, is a thorny small bush or a divaricating shrub, with pale-purplish stems and or grey-velvety stipular prickles in pairs. The different parts of the plant that are used for medicinal purposes are root, bark, stem, flowers and seeds. This shrub is generally found in India, Pakistan, Afghanistan, Egypt, Iran, Iraq, and Israel. Betulin and betulinic acid (chemical structures shown on next page) are present within the bark and stem of Z. nummularia and have been shown to have antitumor activity . Betulinic acid glycosides produce differential cytotoxicity, such that cancer cell lines are more sensitive than normal cells . Similarly, betulinic acid, a naturally occurring pentacyclic triterpenoid, shows selective cytotoxicity against a variety of tumor cell lines . Betulinic acid has been suggested to induce apoptosis by generation of reactive oxygen species, inhibition of topoisomerase I, activation of the mitogen activated protein kinase (MAP kinase) cascade, inhibition of angiogenesis, and modulation of pro-growth transcriptional activators and aminopeptidase-N activity . Furthermore, betulinic acid has been shown to induce apoptosis by a p53- and CD95-independent mechanism . These mechanisms may be responsible for the ability of betulinic acid to effectively kill cancer cells that are resistant to other chemotherapeutic agents . It has been shown that combined treatment of betulinic acid and anticancer drugs, act in concert, to induce loss of mitochondrial membrane potential and the release of cytochrome c and second mitochondria derived activator of caspase (Smac) from mitochondria . These changes are suggested to result in the activation of caspases and induce apoptosis. Notably, betulinic acid augments the anticarcinogenic effect of different cytotoxic compounds of different modes of action (for example, doxorubicin, cisplatin, taxol, or actinomycin D) . Importantly, betulinic acid potentiates the apoptotic effect of anticancer drugs in different tumor cell lines, including p53 mutant cells, as well as primary tumor cells, but not in human fibroblasts indicating some tumor specificity . Andrographis paniculata, commonly known as bhunimba and kalmegha in Sanskrit, kiryat in Hindi and the king of bitters and chiretta in English, is found in India and Sri Lanka . The parts of the plant generally used for medicinal purposes are the roots and the leaves. A. paniculata extract contains diterpenes, flavonoids and stigmasterols . The primary medicinal component of Andrographis is the diterpene andrographolide (chemical structure shown below). Andrographolide, described as a “diterpene lactone” due to its ring like structure, has a very bitter taste and has a colorless crystalline appearance. Andrographis leaves contain the highest concentration of andrographolide (~ 2.25%), while the seeds contain the lowest . Andrographis paniculata commonly known as bhunimba and kalmegha in Sanskrit, kiryat in Hindi and the kreat king of bitters and chiretta in English, under cultivation at experimental fields of IIIM, Jammu, India. Inset: A.paniculata – close up of flowering branch. A. paniculata is used in the treatment of wide variety of conditions such as jaundice, cholestasis and as an antidote for heptotoxins . Its anti-HIV activity has also been reported . Studies conducted on mice have shown that A. paniculata is a potent stimulator of the immune system and that it activates both the antigen-specific and non-specific immune responses . Due to its ability to activate both types of immune response, A. paniculata is a potent chemoprotective agent and is effective against a variety of infectious and oncogenic agents . Andrographolide shows cytotoxic activity against a variety of cancer cells . For example, andrographolide exerts cytotoxic effects against KB human epidermoid cancer cells, P388 lymphocytic leukemia cells, MCF-7 breast cancer cells and HCT-116 colon cancer cells . Further, andrographolide causes growth inhibition in the colon cancer cell line HT 29, enhances the growth and division of human peripheral blood lymphocytes and exerts pro-differentiative effects on the mouse myeloid leukemia M1 cell line . Alcoholic extract of A. paniculata has been shown to cause a significant increase in the activities of glutathione-S-transferase (GST), DT-diaphorase (DTD), superoxide dismutase (SOD) and catalase, differentially in the lung, liver, kidney and forestomach . 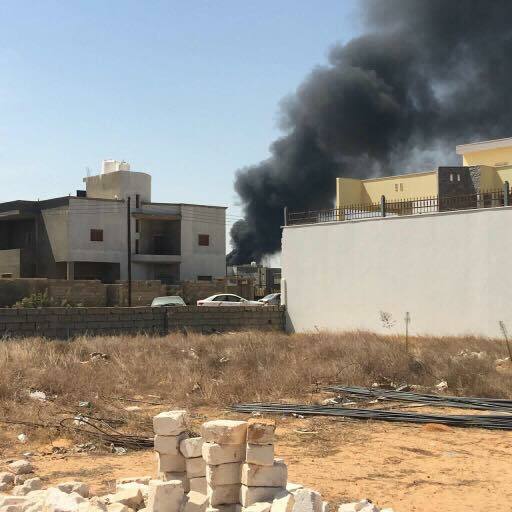 It also causes a decrease in the activity of lacate dehydrogenase (LDH) and malondialdehyde (MDA) . 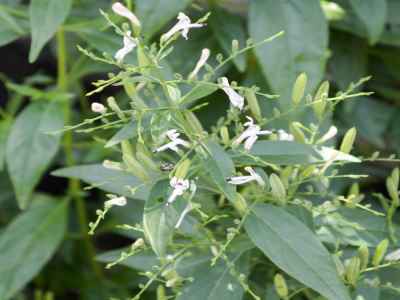 Andrographis also results in alterations in the level of glutathione (GSH) , and GSH significantly contributes to its function of detoxifying the xenobiotics which may play a causative role in the carcinogenic process . A major chemical constituent of A. paniculata, andrographolide has also shown significant anticancer and immuno-stimulatory activities. The in vivo results conducted in immuno-competent Swiss albino mice, demonstrated that andrographolide significantly inhibits the cancer cell proliferation without showing any signs of toxicity in mice, even at relatively high doses . Centella asiatica, known as mandukaparni in Sanskrit, brahmamanduki in Hindi and asiatic pennywort in English, is another plant that has shown potential as an anticancer agent. This plant is commonly found in India, Australia, Pacific Islands, New Guinea, Malaysia, and Iran. The whole plant or its leaves are being traditionally used for their therapeutic properties. Partially purified fractions of C. asiatica, dose-dependently inhibited the proliferation of transformed cell lines, including Ehrlich ascites tumor cells and Dalton’s lymphoma ascites tumor cells . 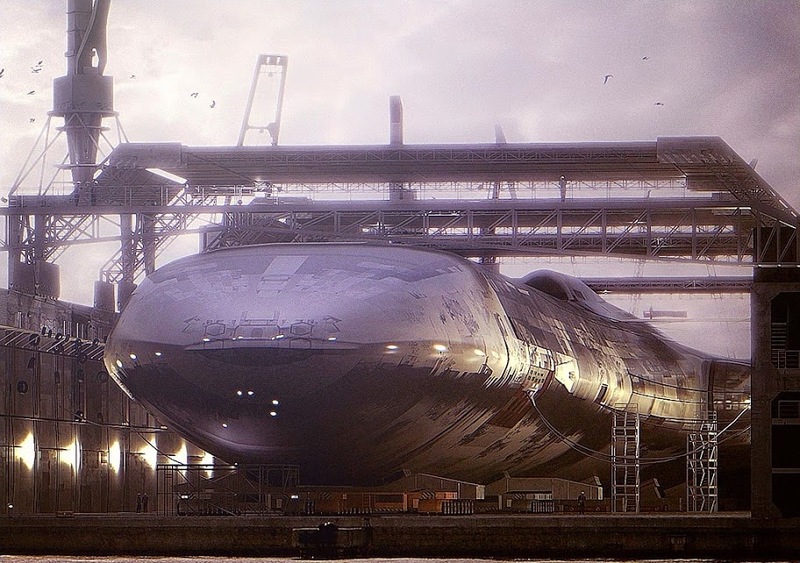 However, practically no toxic effects were detected in normal human lymphocytes . Partially purified fractions of C. asiatica also significantly suppressed the proliferation of mouse lung fibroblast cells in long-term culture. Oral administration of C. asiatica extracts slowed the development of solid and ascites tumors and increased the total life span of tumor-bearing mice . The mechanism underlying the antitumor activity of C. asiatica is suggested to be a direct inhibition of DNA synthesis . Pretreatment with C. asiatica is protective against radiation-induced liver damage . Pretreatment with C. asiatica significantly increases the survival time of irradiated animals . C. asiatica extract contains a number of compounds such as asiaticoside, hydrocotyline, vallerine, pectic acid, sterol, stigmasterol, flavonoids, thankunosides and ascorbic acid . C. asiatica is an inhibitor of lipid peroxidation in various organs such as liver, lung, brain, heart, kidney, and spleen as well as in serum . In addition, it exhibits anti-elastase activity and acts as a free radical scavenger . C. asiatica reduces the level of total ATPase, Mg+2 ATPase, Na+-K+ ATPase, and increases the level of Ca+ ATPase . These processes are suggested to defend the tissue against peroxidation reaction and thus protects it against cell damage . Oral consumption of leaves of C. asiatica have been shown to provide protection against oxidative damage . Chemical structure of asiaticoside, a major component of C. asiatica is shown below. Curcuma longa is popularly known as turmeric in English, haridra in Sanskrit and haldi in Hindi. The rhizome of the plant is traditionally used in cooking . The active ingredient of this plant is curcumin (diferuloylmethane, chemical structure shown below), a polyphenol derived from the rhizome of the plant . Turmeric is used for both cancer prevention and treatment . The anticancer potential of curcumin is associated with its ability to inhibit proliferation in a wide variety of tumor cell types . The anti-proliferative properties of curcumin may be related to its ability to down-regulate the expression of a number of genes, including NF-kappa B, Activator Protein 1 (AP-1), Epidermal growth receptor 1 (EGR-1), cycloxygenase 2 (COX2), lysyl oxidase (LOX), nitric oxide synthase (NOS), matrix metallopeptidase 9 (MMP-9), and tumor necrosis factor. Moreover, turmeric reduces the expression of various chemokines, cell surface adhesion molecules, cyclins and growth factor receptors, including epidermal growth factor receptor (EGFR), and human epidermal growth factor receptor 2 (HER2) . In addition to its effects on gene expression, turmeric inhibits the activity of c-Jun N-terminal kinase, protein tyrosine kinases and protein serine/threonine kinases . Turmeric has also been shown to inhibit tumor cell invasion and metastasis in vitro by reducing MMP-2 activity and by inhibiting HEp2 (epidermoid carcinoma cell line) cell invasion . Curcuma longa is popularly known as turmeric in English, haridra in Sanskrit and haldi in Hindi, under cultivation at experimental fields of IIIM, Jammu, India. Inset: C. longa – dry rhizomes-a source of crude drug. A number of studies have shown that curcumin induces apoptosis, inhibits proliferation and interferes with cell cycle progression . Curcumin is suggested to exert its anti-proliferative and apoptotic effects by inhibition of protein tyrosine kinase activity, inhibition of protein kinase C activity, suppression of c-myc mRNA levels and up-regulation of B-cell lymphoma 2 (Bcl-2) mRNA expression . Curcumin has been shown to cause apoptosis in vitro by bringing about a rapid decrease in mitochondrial membrane potential, release of cytochrome c, activatation of caspases 3 and 9, and downregulation of anti-apoptotic proteins Bcl-XL and Inhibitor of Apoptosis Protein (IAP) . In LNCaP prostate cancer cells, curcumin was shown to increase apoptosis by enhancing tumor necrosis factor-related apoptosis-inducing ligand (TRAIL), promoting cleavage of pro-caspases 3, 8 and 9, and inducing cytochrome c release . Recent studies also suggest that heat shock proteins may play a role in the induction of apoptosis by curcumin . Curcumin and its derivatives demonstrated significant inhibition of VEGF and bFGF-mediated corneal neovascularization and directly inhibited angiogenesis in vivo and in vitro . In addition to its antitumor effects in vitro, curcumin has been shown to prevent colon and gastric cancers in rodents . The mechanism underlying the protective effect of curcumin is suggested to be related to its ability to inhibit the growth of several tumor-associated and angiogenesis-associated genes. Additionally, curcumin has been shown to inhibit the growth of nearly nineteen different strains of H. pylori . Phyllanthus amarus is found in tropical Asia, especially in warmer parts of India and is known as bhumyamalaki in Sanskrit, jaramla in Hindi and stone breaker in English. The whole plant, leaves, roots and shoots are reportedly used for their medicinal values. P. amarus contains various lignans, flavanoids and tannins, and evidence suggests that P. amarus extract may exert antitumor effects . Oral administration of P. amarus extract significantly increased the life span and reduced tumor size in mice bearing Dalton’s lymphoma ascites (DLA) and Erlich ascites carcinoma (EAC) . The chemoprotective properties of this plant may be related to its ability to inhibit metabolic activation of carcinogenic compounds, induce cell cycle arrest and interfere with DNA repair . P. amarus plant extract has been reported to result in a significant decrease in n-nitrosodiethylamine (NDEA)-induced tumor incidence . Additionally, a decrease in tumor marker enzymes and liver injury markers has been reported. P. amarus extract has been shown to inhibit DNA polymerase of hepatitis B virus and related hepatitis viruses and down regulates hepatitis B virus mRNA transcription and translation . The extract of P. amarus has been shown to inhibit aniline hydroxylase, a P-450 enzyme responsible for the activation of carcinogens . The extract of P. amarusinhibited the activity of cdc 25 tyrosine phosphatase, which is a key enzyme involved in cell cycle regulation . The extract of P. amarus resulted in the inhibition of the activity of topoisomerase I and II in Sacchromyces cerviacae mutant cell cultures . P. amarus extract has also been reported to have anti-angiogenic effects in mice bearing Lewis lung carcinoma with evidence to interfere with the migration of vascular endothelial cells . The lignan-rich fraction of the hexane extract of P. amarus, and the various purified lignans namely nirtetralin (NIRT), niranthrin (NIRA), phyllanthin (PHYLLA), phyltetralin (PHYLT) (chemical structures shown below) have been reported to be effective in inhibiting P-gp (P-glycoprotein) function in vitro . Furthermore, these lignans, in combination with daunorubicin act as a Multiple Drug Resistance (MDR)–reversing agents . 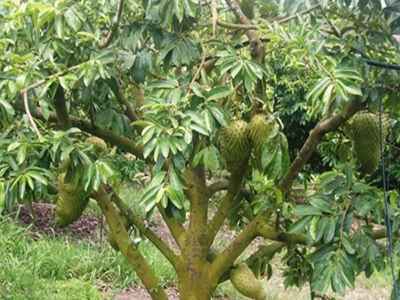 Annona atemoya/muricata is a native of Caribbean, Central and South America. It is also commonly grown in South East Asia especially in eastern part of India. This plant is traditionally known as mamaphal in Hindi and sour-sop of America in English. The parts of the plant that are generally used for medicinal purposes are the root, bark, leaf and fruit. The fruit of A. atemoya contains bullatacin (chemical structure shown below), an acetogenin known to have antitumor properties. Bullatacin induces chromatin margination and tumor cell condensation, followed by apoptosis . A. atemoya contains two annomuricins namely A and B, which have shown cytotoxicity in human solid tumor cell lines A-549 lung carcinoma, MCF-7 breast carcinoma, and HT-29 colon adenocarcinoma cell lines . A. atemoya contains several other acetogenins that have also been shown to selectively induce cell death in tumor cells in vitro . In particular, two annonaceous acetogenins were found to produce cell death in the human hepatoma cell line HepG2 and hepatoma 2.2.15 cells . Mappia foetida/ Nothapodytes foetida is generally found in tropical countries . The medicinal properties of M. foetida have recently gained international attention. The active component of M. foetidatree wood is camptothecin (chemical structure shown below), a potent chemotherapy drug used to treat leukemia . Recent studies have indicated that an endophytic fungus which grows on this plant also produces the camptothecine . Camptothecines have broad spectrum of antitumor activities both in vitro and in vivo. For example, camptothecines have been shown to be effective inhibitors of nucleic acid synthesis in HeLa cells and L-120 cells. The anti-neoplastic activity of camptothecine has been attributed to its inhibitory action on the nuclear enzyme type-1 DNA topoisomerase (topo-1) . This alkaloid as well as several semisynthetic or fully synthetic analogues, are in various stages of preclinical and clinical trials . Irinotecan (7-ethyl-10-[4-(Ipiperidino)-I-piperidinol] carbonyloxycamptothecine) is a new potent semi-synthetic derivative of camptothecine, which is active against ascites and solid mouse tumors and induces partial or complete remission of breast carcinoma in the xenograft model system . A series of Phase II clinical trials have been conducted to assess the anticancer activity of camptothecines and their analogues. The Phase II trials have revealed an extensive range of activities against lymphoma, leukemia, and solid epithelial tumors . Topotecan, another synthetic modification of 10-hydroxycamptothecine, has been shown to slow the growth of human colon cancer cells, rhabdomyosarcoma cells, and osteogenic sarcoma xenografts . Mappia foetida under cultivation at experimental fields of IIIM, Jammu, India. Inset: M. foetida – close up of fruiting branch. Withania somnifera (Linn.) 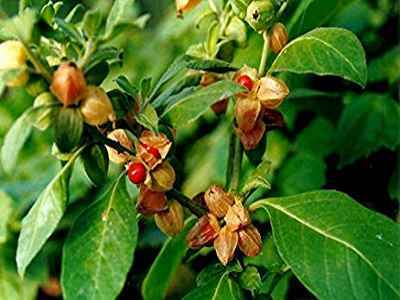 Dunal (Solanaceae) known as ashwagandha in Sanskrit and Hindi, winter cherry in English, is a small subtropical shrub . 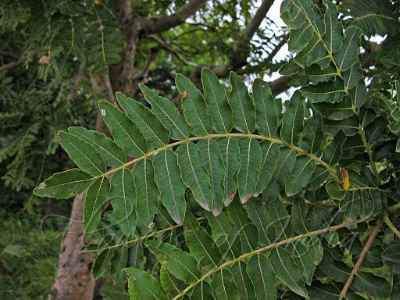 The roots and leaves of W. somnifera have been used in the Indian traditional system of medicine Ayurveda, and the plant is marketed world-wide because of its medicinal properties. It is also one of the members of GRAS (generally regarded as safe) category of plants that has found several therapeutic uses . W. somnifera extract is suggested to modulate a variety of biological responses . Therefore, it has been extensively used in many indigenous preparations for its anti-ageing, aphrodisiac, cardiotonic, thyro-regulatory, anti-peroxidative, anti-inflammatory, antitumor, anti-stress, anti-oxidant, immuno-modulatory, hemopoietic, and rejuvenating properties . Withania somnifera known as ashwagandha in Sanskrit and Hindi, winter cherry in English under cultivation at experimental fields of IIIM, Jammu, India. Cedrus deodara (deodar cedar, himalayan cedar, or deodar in Hindi, devdar in Sanskrit, xue song in Chinese) is native to the western Himalaya (Hind Kush mountains), eastern Afghanistan, northern Pakistan, northwest and northcentral India, southwestern Tibet and western Nepal . It is widely grown as an ornamental tree and planted in parks and large gardens for its drooping foliage. 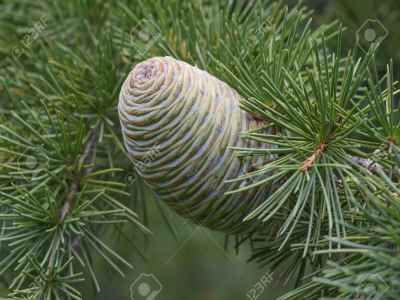 The name “deodar” is derived from modern Indian language derivatives of the Sanskrit name “devdar”, meaning “timber of the gods”. Bark of the Cedrus deodara is a good remedy in remittent and intermittent fevers, inflammation, rheumatoid arthritis, cancer, ulcers, diarrhea and dysentery . The oleo-resin from deodar is valued as a cure for skin diseases. Cedarwood oil is used as an expectorant, catarrhal of respiratory tract, anti-ulcer, arthritis pain reliever, anti-diabetic, anti-inflammatory, and to cure skin diseases . Cedarwood oil is also used in fragrance applications such as soap perfumes, household sprays, floor polishes and insecticides. No toxic effect was seen on human body with Cedrus deodara consumption. Resins obtained from the tree are used as anti-obesity agents. It is also effective in clearing the respiratory tract and reduces cough and cold. In India, Cedrus deodara oil has been shown to possess insecticidal and antifungal properties and to have some potential for control of fungal deterioration of spices during storage . A lignan composition extracted from the stem wood of Cedrus deodara exhibited cytotoxicity to a panel of human cancer cell lines . It also induced tumor regression in murine models . This lignan composition called lignin mixture consisted of (−)-wikstromal (75–79%), (−)-matairesinol (9–13%) and dibenzylbutyrolactol (7–11%, chemical structures given below) (US Patent 6,649,650). It inhibited Molt-4 cell proliferation with 48 hour IC50 of ~15 µg/ml, increased sub-G0 cell fraction with no mitotic block, produced apoptotic bodies and induced DNA ladder formation. Flow cytometric analysis of annexinV-FITC/PI-stained cells showed time-related increase in apoptosis and post-apoptotic necrosis. All these biological end-points indicated cell death by apoptosis. Further, initial events involved massive nitric oxide (NO) formation within 4h with subsequent late appearance of peroxides in cells; measured by flow cytometry using specific fluorescent probes . Persistently high levels of NO and peroxide appeared to decrease mitochondrial membrane potential (ψmt) which was recovered by cyclosporine A in Molt-4 cells. The lignan mixture caused 2-fold activation of caspase-3 in Molt-4, and 5-fold activation in HL-60 cells . Also, caspases-8 and −9 were activated in HL-60 cells. Ascorbate suppressed the enhanced caspase activities indicating a prooxidant effect of lignan mixture. Further, caspase-3 activation correlated with NO generation that was partially impaired by nitric oxide synthase (NOS) inhibitors and ascorbate, suggesting a role of prooxidant species in caspase-3 activation. The lignan mixture produced no cytotoxicity in primary rat hepatocyte culture at the concentrations used. These studies indicated that the lignan mixture mediated early NO formation, lead to caspases activation, peroxide generation and mitochondrial depolarization which may be responsible for mitochondrial-dependent and -independent apoptotic pathways involved in the killing of leukemia cells by the lignan mixture . Take a look at this collection The Lost Book Of Remedies, taken word for word out of a circa 1845 manual. 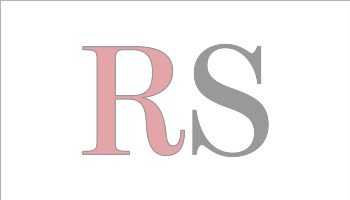 What is The Lost Book of Remedies? The Lost Book of Remedies PDF contains a series of medicinal and herbal recipes to make home made remedies from medicinal plants and herbs. Chromic diseases and maladies can be overcome by taking the remedies outlined in this book. The writer claims that his grandfather was taught herbalism and healing whilst in active service during world war two and that he has treated many soldiers with his home made cures. Boswellia serrata is a deciduous middle sized tree, which is most commonly found in tropical parts of Asia and Africa . The gum from the plant is tapped from incisions made on the trunk of the tree, which is then stored in specially made bamboo baskets and converted into different grades of material according to flavor, color, shape and size. A number of pharmacological properties of the gum have been documented . Boswellia serrata under cultivation at experimental fields of IIIM, Jammu, India. An isomeric triterpenediol comprising of isomeric mixture of 3α, 24-dihydroxyurs-12-ene and 3α, 24-dihydroxyolean-12-ene from Boswellia serrata induces apoptosis in various cancer cells . It inhibited cell proliferation with IC50 of ~12 µg/ml and produced apoptosis as measured by various biological end points e.g. increased sub-G0 DNA fraction, DNA ladder formation, enhanced AnnexinV-FITC binding of the cells. 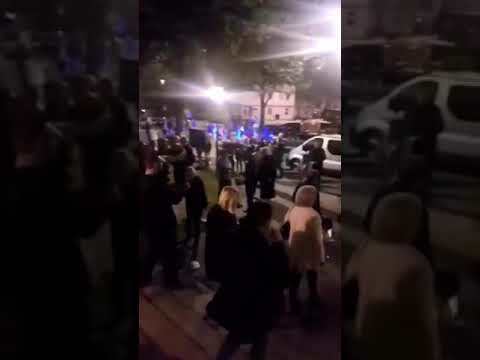 Further, initial events involved excessive ROS and NO formation, which were significantly inhibited by their respective inhibitors. Persistent high levels of NO and ROS caused Bcl-2 cleavage and translocation of Bax to mitochondria, which lead to loss of mitochondrial membrane potential (Δψm), and release of cytochrome c and other factors in the cytosol . These events were associated with decreased expression of survivin and ICAD (inhibitor of caspase activated DNAses) with attendant activation of caspases leading to PARP cleavage. Furthermore, triterpendiol upregulated the expression of cell death receptors DR4 (death receptor 4) and TNF-R1(tumor necrosis factor receptor 1) level, leading to caspase-8 activation. These studies thus demonstrate that triterpenediol produces oxidative stress in cancer cells that triggers self-demise by ROS and NO regulated activation of both the intrinsic and extrinsic signaling cascades . Chemical structures of the major chemical components of B. serrata are shown below. Any practical solution to controlling the initiation and progression of cancer is of paramount importance. The use of medicinal plant products to manage or arrest the carcinogenic process provides an alternative to the use of conventional allopathic medicine for treatment of the disease. Many herbs have been evaluated in clinical studies and are currently being investigated to understand their tumouricidal properties against various cancers and these have been summarized in T.
There seem to be emerging approaches, that include, not only cytotoxic approaches but also molecular management of cancer physiopathology. The goal in these integrative approaches, which extend beyond eradicating the affected cells, is to control the cancer phenotype. A number of plant-derived products have shown promise in anticancer therapies. Attempts have been made to characterize the effectiveness of single constituents isolated from natural products as chemo-preventive agents. Keeping that perspective in mind, auyurveda which uses a holistic approach in the treatment of disease may provide effective alternative to individual plant isolates in the treatment of cancer. The ayurvedic system of medicine incorporates herbs into its treatment regimens for a number of diseases and disorders. The well known texts of Charaka Samhita and Sushruta Samhita date back to approximately 1000 B.C. and document the use of plant products in treatment of disease . Charaka and Sushruta samhitas, two well-known Ayurvedic classics, describe cancer as inflammatory or non-inflammatory swelling and mention them as either Granthi (minor neoplasm) or Arbuda (major neoplasm). T. cordifolia for example is known for its various medicinal properties including anti-inflammatory, anti-arthritic and anti-allergic properties. In vitro experiments have shown anticancer potential for T. cordifolia . 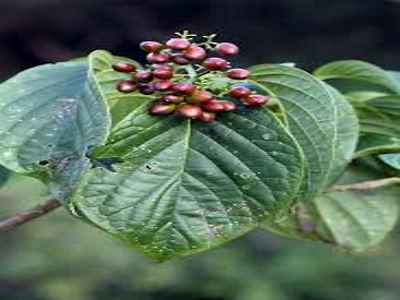 A. Paniculuta extracts have been shown to have anti-oncogenic properties . Oral administration of C. asiatica extracts slowed the development of solid and ascites tumors and increased the total life span of tumor-bearing mice . 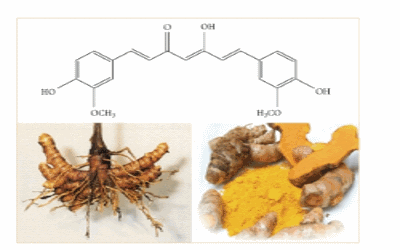 Tumeric has also been shown to inhibit tumor cell invasion and metastasis in vitro . Oral administration of P. amarus extract significantly increased the life span and reduced tumor size in mice bearing Dalton’s lymphoma ascites (DLA) and Erlich ascites carcinoma (EAC) . Thus, there is evidence that plant products can have antitumor properties with relatively few side effects. More research on plants and plant-derived chemicals may result in the discovery of potent anticancer agents. The premise is that many modern day medicines work on the basis that they treat the symptoms and not the cause, but contained within The Lost Book of Remedies are a number of tinctures and tonics made from plants and leaves that will treat the cause of the illness, thus eradicating the disease altogether.